If you want to see the ultimate party band experience then Patrice & The Show will knock your socks off! This ten piece unit with it's multi-talented musicians and vocalists has more than 70 years of combined experience. 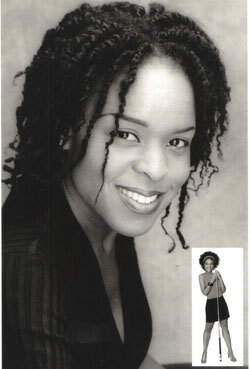 In the forefront is the vocal marvel Patrice Hawthorne. She'll hypnotize you with her sultry sounds and leave you begging for more. A voice with the emotional depth of Billie Holiday and the power of Dinah Washington, her skills are unparalleled. She is well known for her role of �Peaches� of the soul duo �Peaches and Herb� who's hit songs; "Shake Your Groove Thing" and "Reunited" soared to the top of the charts! With this duo Patrice toured the world for twelve years delivering stellar performances. She has graced the stages of many other well-known artists and has performed for various political dignitaries including the 42nd President of the United States, Bill Clinton.